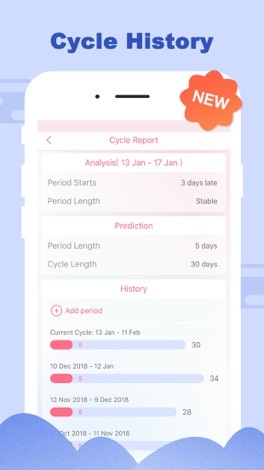 Developer : Spring Tech Co., Ltd.
Period Tracker is useful, whether you have irregular periods or regular periods. It can track your chance of pregnancy every day. You can also record your cervical, sexual activity, weight, symptoms or moods. Think of it as your personal period diary. It will help you get in shape, lose weight, and stay healthy. 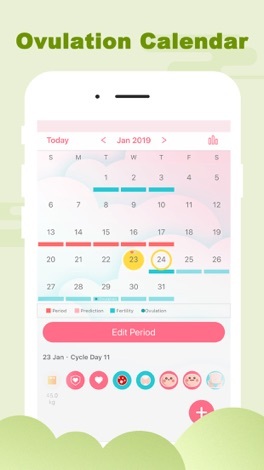 This women health app for period tracker provides period calendar reminders before your next menstrual cycle and ovulation. Viewing your ovulation predictions is fast and easy with our ovulation calculator. Wondering when you had your last period? Want to know when your next period is coming? With PinkBird female menstrual calendar it’s easy to keep track of your cycle. Listen to yourself, note your mood and symptoms to understand how they influence your health. Period Calendar is totally free with all features! 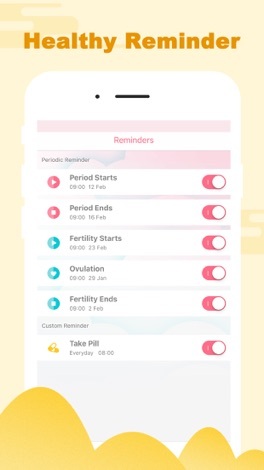 Period tracker worth you try and won't let you down, a period tracker for irregular periods. - Subscription may be cancelled at any time within the iTunes and App Store Apple ID Settings. All prices include applicable local sales taxes. More by Spring Tech Co., Ltd.